I meet him every morning on my way to the subway. 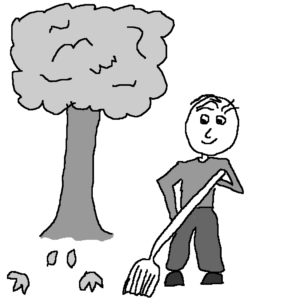 He is there on the same street corner, sweeping and shoveling up heaps of fallen leaves. We greet each other. It is a pleasant part of the daily routine.